Gruniverpal becomes synonymous with exclusive made in Italy products that are able to anticipate sector trends. In the sixties, thanks to its record of patents and machines, Gruniverpal was repeatedly awarded the gold medal at the International Grand Prix of Inventions. 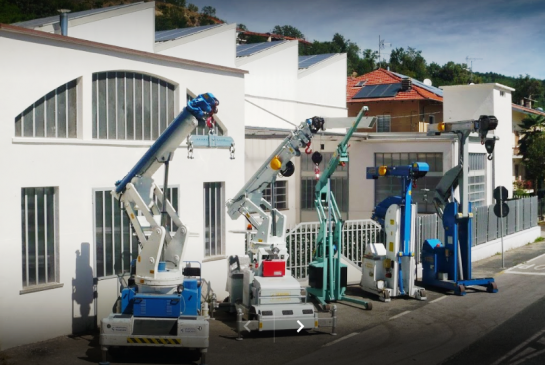 Production is diversified: new product ranges from mobile cranes to aerial platforms to special lifting machines, in particular for lifting moulds. All this according to a strictly ‘on demand’ concept of the project and the product: a winning philosophy. The basis for which is Gruniverpal’s technology, an international level of excellence. The most tangible expression of an industry leader that operates according to a vision with broad horizons. Every morning, in fact, those working at Gruniverpal know that: “The future begins today”.